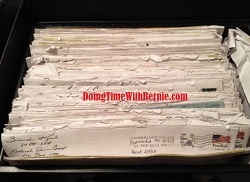 Len Levitt, writer of NYPDConfidential.com has joined the ranks of bold journalists like Matt Taibbi of the "Rolling Stone" to write blunt truth about felon Bernard Kerik and his new "non-fiction" *cough* "memoir" "From Jailer to Jailed". 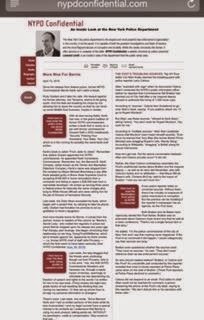 Last week, Matt Taibbi, in his article for "Rolling Stone" dubbed "From Jailer to Jailed" "the Year's Most Disgusting Book"! 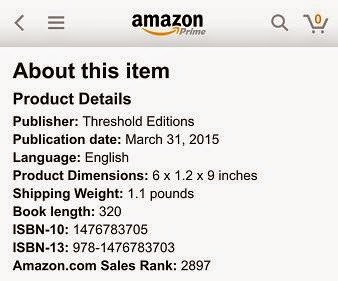 Apparently in agreement is the American public who are seeking out Amazon.com for a good spring read. 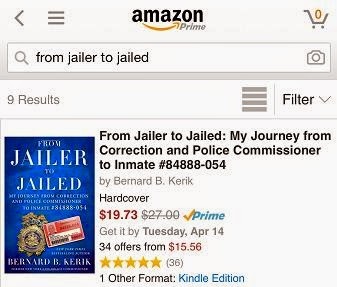 "From Jailer to Jailed", after it's premier and endless, painful promotion by one of its authors, felon on probation Bernard Kerik (who can't find a full-time job like the rest of society must do to support ourselves) is literally tanking!! 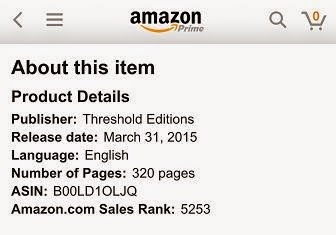 See the Amazon.com rankings for both hardcover and Kindle versions as posted at time of writing. This must be so embarrassing for ridiculous selfie king has-been Geraldo Rivera who was dribbling last week from his 770 NYC WABCradio local radio farce that "From Jailer to Jailed" was a "best seller"..uhm..NOT! Even saying it over and over again on the airwaves doesn't make it so, Jerry!